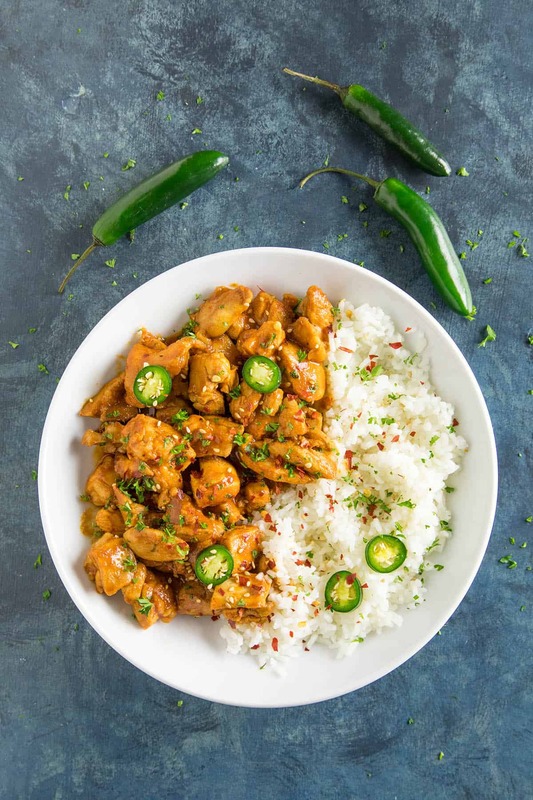 A quick and easy recipe for spicy Korean chicken made with gochujang, sriracha, soy sauce, spicy chili flakes and more. On the table fast! Perfect served over rice. 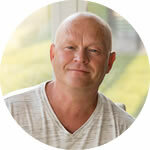 I’ve been crazy SLAMMED lately, so I’ve been looking for ways to get food on the table FAST. 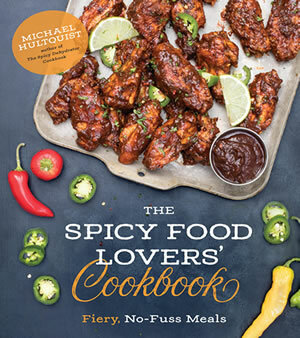 As I continue to work on my new cookbook about EASY Meal for SPICY Food Lovers, I realize more and more that we all need recipes that don’t take up a lot our time. As much as I LOVE spending my time in the kitchen, some days it just isn’t possible. I mean, I’m working on a cookbook, writing another thriller script (fingers cross on this one! ), PLUS we’re talking about rebuilding our site to help with the overall user experience. Oh yeah, plus other work stuff and a vacation planned. See? Busy! We all get that way from time to time. For some of us, it’s MOST of the time. SO! This is why we need recipes like this one in our back pocket. 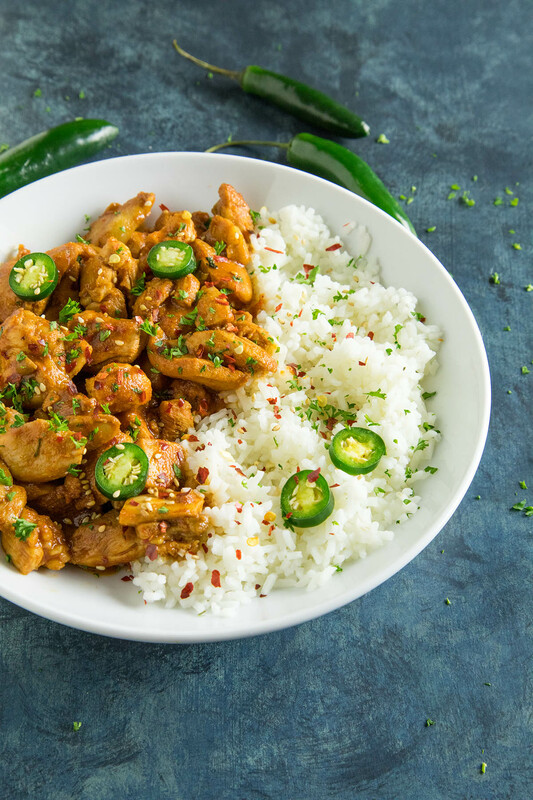 I’m talking Spicy Korean Chicken. 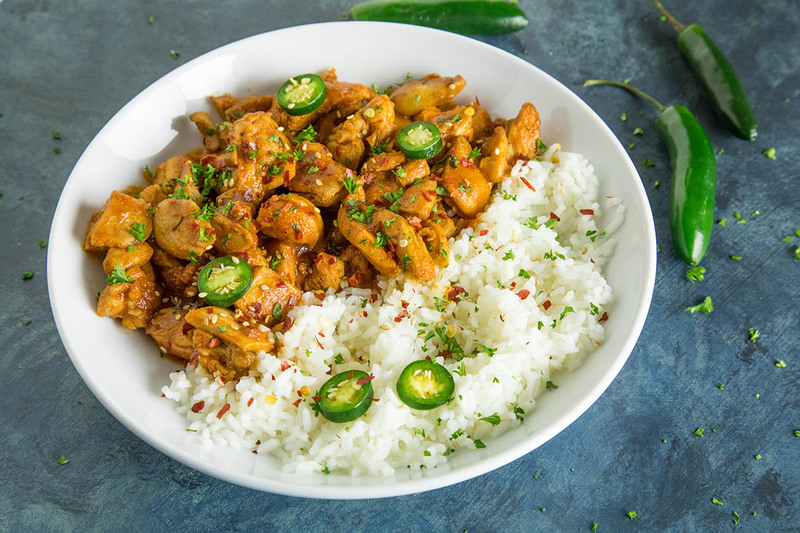 Making Korean Chicken is ridiculously simple, and the GREAT thing about it, aside from being so easy, is that you can easily adjust this to your preferred heat level. 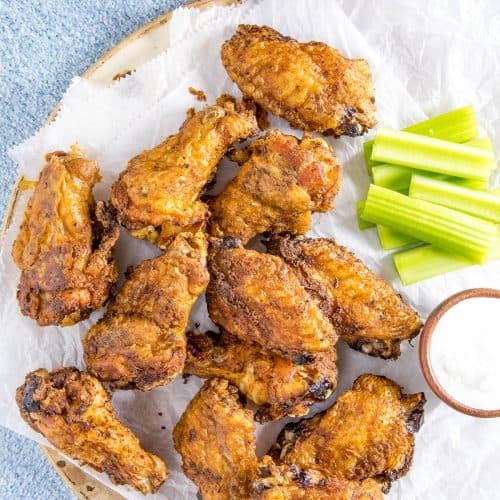 You’re essentially going to marinate your chicken in a spicy, saucy mixture of ingredients that includes soy sauce, gochujang chili paste, sriracha, rice vinegar, your favorite hot sauce, ginger, garlic, spicy pepper flakes and a bit of salt and pepper. If you haven’t cooked with gochujang chili paste yet, go get some now. It’s my new favorite ingredient. SO. GOOD. 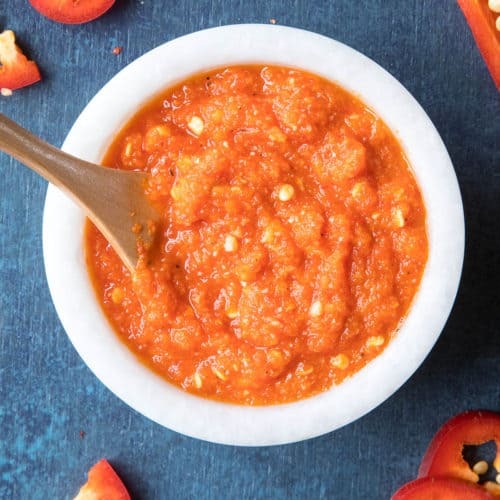 See my recent post: What is Gochujang and Why You Need it Now. There are different levels of heat with gochujang, so your choice can affect the overall heat level. However! 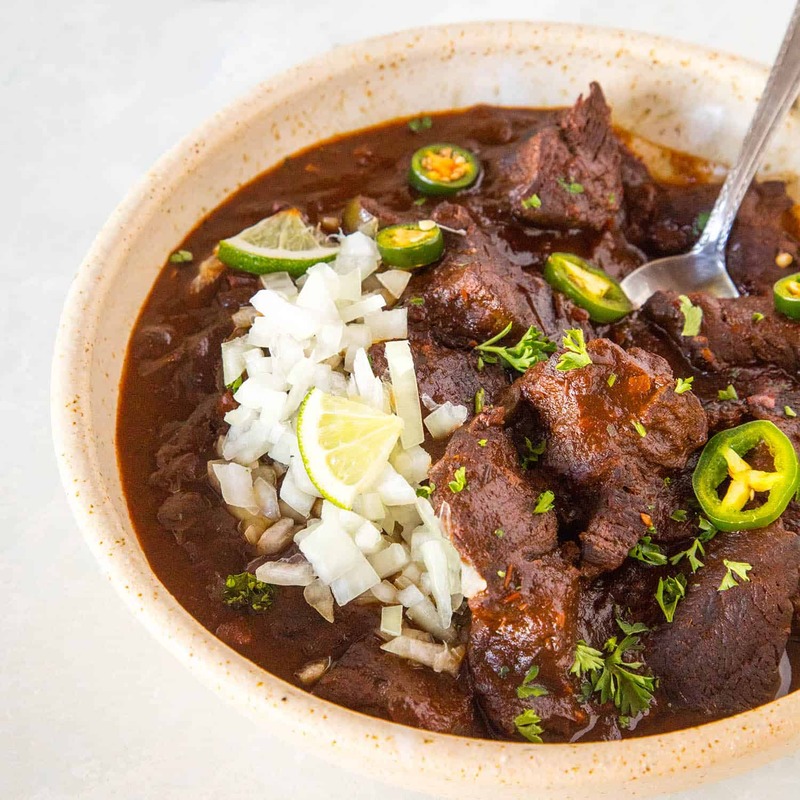 The biggest 2 factors here in determining your preferred heat level include your choice of hot sauce, as well as your choice of chili flakes used in the recipe. Feel free to use whatever hot sauce you believe will work best. I feel a simple Louisiana style hot sauce is in order here. 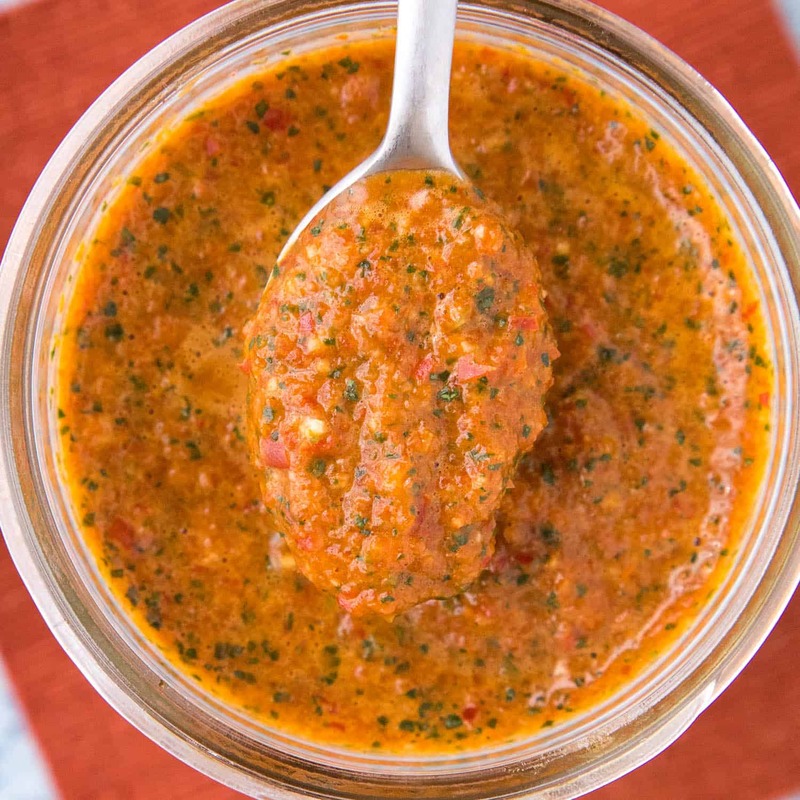 Patty happened to be out for the evening, so I made my EXTRA SPICY by using this hot sauce in the recipe – The Hottest Damn Hot Sauce I Ever Made. Talk about heat. I used some crushed Hawaiian Hots that I grew last season and had dehydrated, though crushed red peppers from your local grocery store work GREAT here. 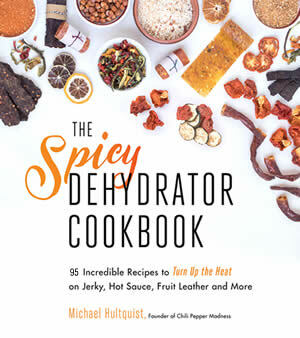 If you’re interested in making your own chili flakes, see: How to Make Your Own Chili Flakes. Marinate the chicken for at least 1 hour, but overnight will gain you more intense flavors. Once you’re ready to cook, just cook the chicken up in a pan or on the grill and you’re good to go. Super easy! I like to serve mine over rice with some fresh herbs and extra chili flakes. Great stuff! Let me know how you like it! 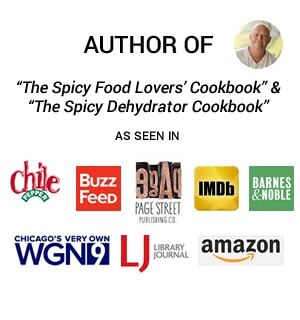 — Mike H.
2 teaspoons of your favorite hot sauce I used some of this – The Hottest Damn Hot Sauce I Ever Made! 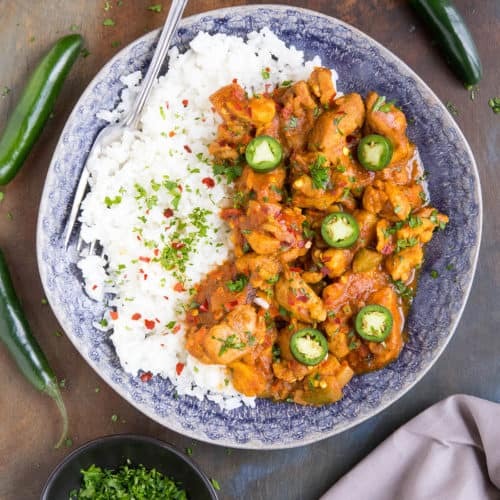 Add the chicken to a large bowl with all of the ingredients and stir it up until all of the sauce is nicely combined and coating every bit of chicken. Cover and refrigerate for at least an hour. Overnight will get you the most flavor. Heat a large pan to medium heat and add the olive oil. Add the chicken, stirring here and there, until the chicken is cooked through, about 10 minutes. Serve over rice with fresh herbs, extra pepper flakes and peppers! Heat Factor: Hot if you make it my way, though you can easily tame the heat with milder hot sauces and a milder gochujang. See: gochujang chili paste and The Hottest Damn Hot Sauce I Ever Made! I bought gochujang because of you! You seemed to love it so much! I didn’t know exactly wich fresh herbs you meant, Mike, so I used cilantro and mint. I wanted to use non-deboned chicken thighs, so I used a slow cooking, but it was very different, looked like grilled. For hot sauce, I used my own reaper one. And for extra sliced pepper, I used jalapeño. …This was gorgeous, well-flavoured Mike, thank you! Perfect, Jeremie. Yes, I love gochujang, and use it very much. Such a great flavor. I usually leave the choice of herbs up to my readers, though I often use cilantro and/or parsley for general cooking. Mint would be great here as well. Glad you enjoyed it! 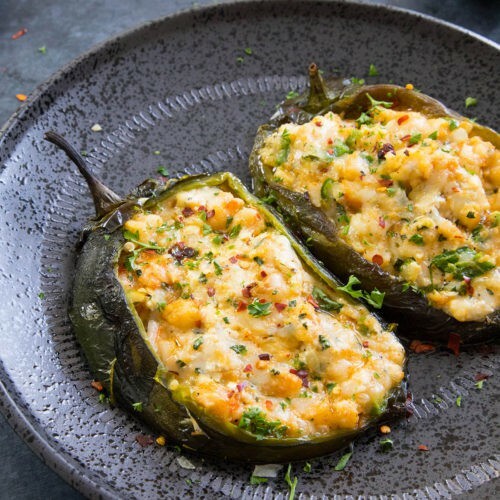 We can’t get enough of this dish. We use coconut milk to make the rice, and leftovers are gone the next day at noon. Spices up nicely. Thank you, Larry. I’m happy you enjoyed it.